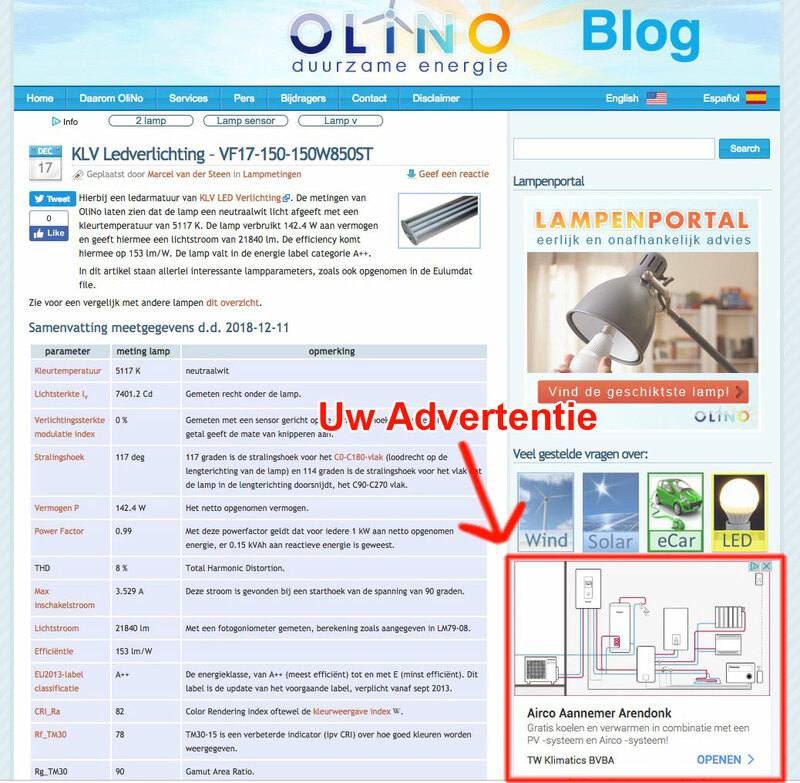 The advertisement is prominently on the right-hand side on every page with a dimension of 336×280 pixels. You can indicate for which categories of articles you want the advertisement to appear so that you are can targeting advertisement for the right target group. The price is € 10 CPM (= € 10 per 1000 page views). You can also show various advertisements alternately. They will automatically be alternated (per each new pageview). The ad that is clicked on most will automatically be shown more often. 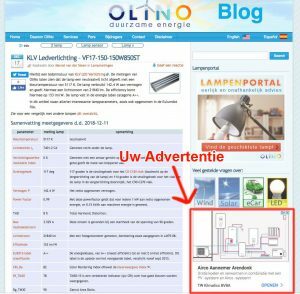 Example: You want to show 50,000 advertisements over a period of 6 months in the solar energy category. Your costs: 50 x € 10 = € 500. – You only pay for advertisements that have actually been shown. – With € 10, – CPM we are at least 50% cheaper than the market price for Pay Per View advertisements. We place an informative and non-commercial article between the normal (non-commercial) articles. The article contains a link to your own website. The article remains on OliNo.org for a long time and it is therefore important that the information has a long-term value (no news facts). This has the advantage that the article remains interesting for a longer period and continues to provide traffic to your website over a long period. Cost: € 200 per article. If the article fits our objectives, then we place the article on our very popular OliNo blog site. Visitors who are interested can directly click through to your website. The link in the article is a follow link and this will contribute to a positive Google ranking. The article stays on OliNo.org for a long time and will therefore continue to contribute to visitors and Google ranking.